The Titans have come to terms with a couple of players, as they have inked TE Chase Coffman and running back David Fluellen. 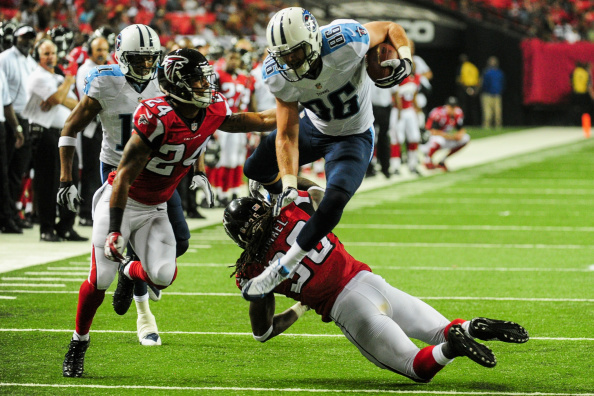 Coffman (6-6, 250) played in 13 games for the Titans last season, after being added to the active roster in September. He tallied a career-high six receptions for 64 yards and a touchdown last year. Coffman has six seasons of NFL experience (Cincinnati, Atlanta, Tennessee) and has totaled 35 games and 10 receptions during his career. 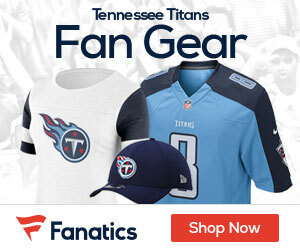 He was a third-round selection by the Bengals in the 2009 NFL Draft from the University of Missouri. Fluellen (5-11, 224) entered the NFL last season as a undrafted free agent with the Philadelphia Eagles. He was traded to the Indianapolis Colts during training camp and waived prior to the regular season. Fluellen was a two-time all-conference player at the University of Toledo. For his college career, he rushed for 3,336 yards and 28 touchdowns. #Titans sign TE Chase Coffman and RB David Fluellen.